The crescent moon will pass closely to the bright stars of Spica (Chitra) and Arcturus (Swati). A celestial phenomenon will be witnessed on an early Tuesday morning tomorrow, where a planet will be seen near to the lunar crescent above the horizon. The event would see the moon and Venus arm in arm. Early birds can easily witness the event as the crescent moon will pass closely to the bright stars of Spica (Chitra) and Arcturus (Swati). Arvind Paranjpe, director of Nehru Planetarium said that the event would be easily visible to those who go for a morning walk if only they’re aware of it. “By no means is this a rare or very special event but it is definitely an interesting one. 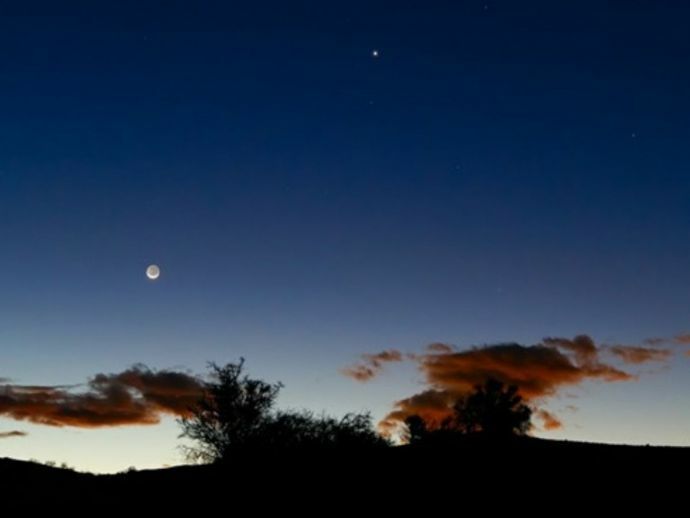 The next interesting event would take place on January 31, 2019, at dawn when a thin lunar crescent will be seen nearly touching Jupiter and Venus right below," he said. India will be witness to four such events in 2019. Though only one of these event, taking place on the evening of November 28 will be visible, as all other events will take place during the day. The moon will hide Saturn, Mars and Jupiter during these events. “All the planets orbit or revolve around the sun in nearly the same plane but at different speeds. The farther a planet is from the sun, the slower is its speed. As they are seen moving across the sky, very frequently, planets and the moon appear very close to each other. Thus, leading to a visually pleasing display. Such an event, called conjunction, is scheduled on Tuesday, December 4,” said Paranjpe. He added that the December 4 event will be a beautiful astronomical phenomenon, as all events taking place near a bright star are. The event can be enjoyed by majority parts of the Earth.